ATN has developed two new binoculars for 2019, the BinoX 4K Day and Night Smart HD binocular and the BinoX 4T Smart Thermal binocular. Each has the ability to capture photos and videos for sharing with friends and family or on social media. The BinoX 4K and BinoX 4T carry internal batteries that provide up to 18 hours of run time. The new-for-2019 BinoX 4K Day and Night Smart binocular is more than the average run of the mill 4-16x binocular. Featuring ATN’s SMART HD technology, like the 4K Ultra HD Sensor and Dual Core Processor, the BinoX 4K has an integrated angle compensated laser rangefinder and E-Compass. This makes glassing targets and terrain features effortless and eliminates having to pack a separate rangefinder. The MSRP on the BinoX 4K Day and Night Smart HD binocular starts at $899. If thermal optics are more your style, the ATN BinoX 4T Smart Thermal binocular series is worth checking out. The BinoX 4T features an improved thermal imaging sensor and ATN’s SMART HD technology. 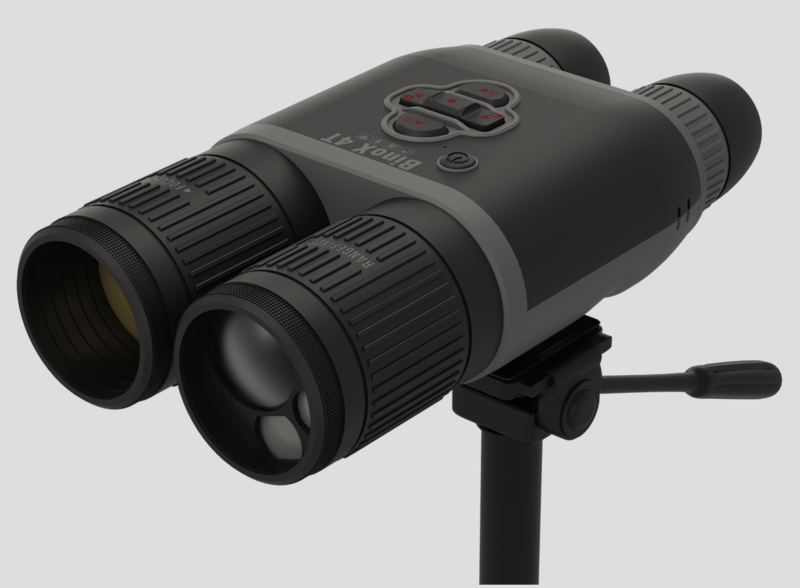 Like the BinoX 4K, the BinoX 4T also features an integrated angle compensated laser rangefinder and E-Compass. Available in 384x288 or 640x480 configurations, the BinoX 4T provides a sharp, clear thermal image. The one-handed operation of the control keypad allows for quick scanning to easily locate heat signatures, even in dense cover or fog. The MSRP on the BinoX 4T Smart Thermal binocular series starts at $2,699.